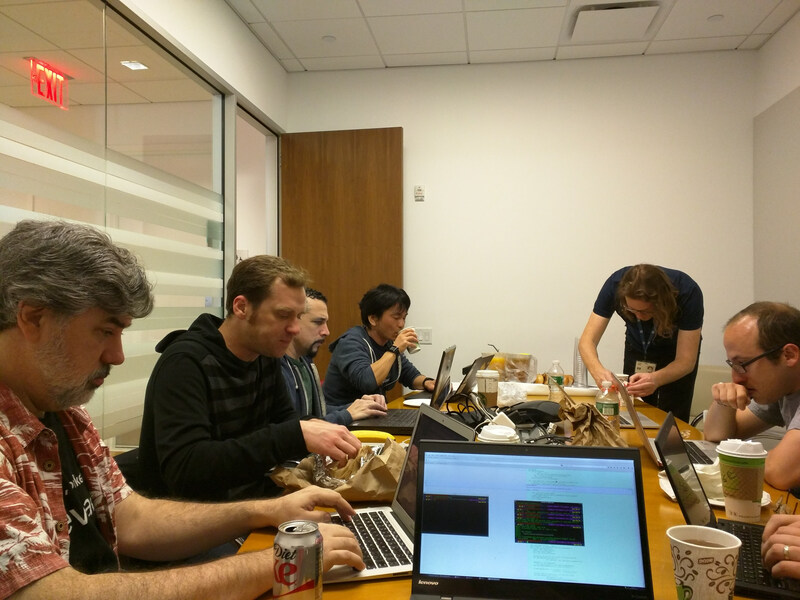 Last week we had a 3 day code sprint for the QA program in NYC: https://wiki.openstack.org/wiki/QA/CodeSprintKiloNYC HP hosted the event at the office in Chelsea. Overall it was a very productive week were we accomplished a great deal. The goal of the sprint was to make a good push on a list of priority items which had seemed to be a bit stagnant and get some code landed to try and push forward on them. It was also a valuable opportunity for a bunch of us to get together and get to know the people we work with daily basis a bit better. Something which is often hard to do over IRC, gerrit, or the ML. On the Wed. we started the sprint by briefly outlining what every person in attendance wanted to accomplish. This gave us a frame of reference for how we’d structure the work for the week. It turned out that most people had similar goals in mind and the majority of the work items for the week were already on the etherpad. We then broke off into smaller groups and started working on different things. For tempest we stared by resolving a longstanding bug around running tempest with multiple networks available to the tenant. Luckily, there was a patch in progress to resolve this from a number of different authors. We decided to take it over during the sprint to have a quick turnaround and prioritize landing it. This was also the first step in rationalizing and improving how tempest uses networks. Which led right into the next step for, enabling the test accounts/accounts.yaml credential provider mechanism to use a network specified in the yaml file. (which is the second half of this spec) The patches which outlined this implementation were were pushed to gerrit. While we weren’t able to land them during the sprint it puts us in a good place to close out this BP during the next couple of weeks. We also used the week to uncover and help fix some bugs in tempest when using it outside of devstack. 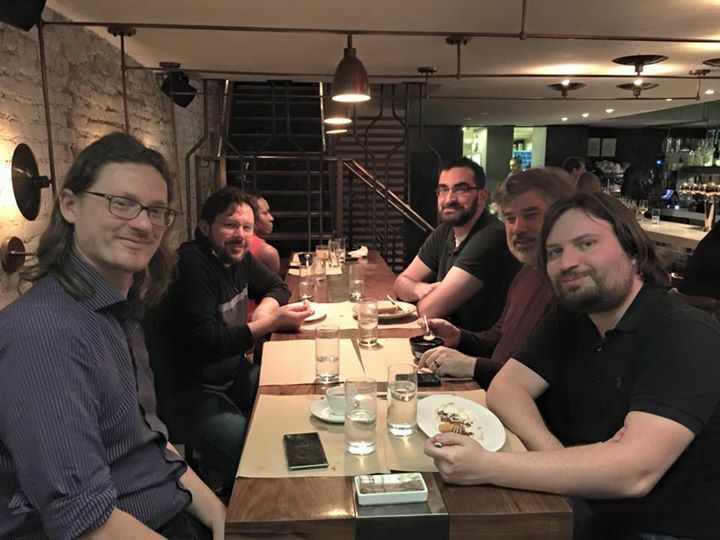 Chris Hoge, who’s primary focus is on the defcore and OpenStack interoperability, was able to attend for the week and provided some feedback and experience from his attempts to use tempest outside of devstack which led to several bugs being found and squashed. We managed to get the majority of the tests needed for defcore working by then end of the sprint. (with just a couple that needed to be skipped for the time being) Getting this direct feedback has been something I’ve been pushing for this cycle and it was gratifying to actually be able to sit down and debug issues with this important use case. Additionally there was an effort around some tempest-lib improvements, driven by Igawa Masayuki, specifically to close some gaps in documentation and unit testing. This is something that’s important to ensure the library is usable long-term, but often doesn’t get the most attention because it can be somewhat tedious. At the end of the week we ended up landed a number of patches to expand our unit testing and improve the docstrings for several modules in the public tempest-lib API. Also, on Wed. afternoon right after lunch we all took a walk on the High Line which was a good opportunity to get out of the conference room and get some fresh air. (especially since it rained on and off for the rest of the week) We also used the outdoor time to start the discussion around a plugin interface for grenade and modular testing interfaces as we move into the big tent and have many projects be more self service when it comes to leveraging QA tooling. We didn’t really reach a real conclusion on this topic and we will definitely have to pick this discussion back up at the Liberty summit in Vancouver. But, it was good to start thinking about this. On the last day of the code sprint we again continued were we left off from the previous day. By this point we all knew what we needed to be working on and what was realistically accomplish-able in the time remaining. So soon after lunch on Friday, before the first of us had to head back home, we had a sprint retrospective to get feedback from everyone in the room on how the sprint went and if we accomplished the goals we outlined on Wed. This served as a useful conclusion to just sum up what had been done, and what was left to do after we all had returned home.